HH. Prince Waldemar zu Schaumburg-Lippe, Sekundogenitur Nachod – THE FÜRST ZU SCHAUMBURG-LIPPE-NACHOD, was born in Germany at Klein-Glienicke Castle in Berlin. As head of the family (Fürst) he is also head of the princely house of Schaumburg-Lippe-Nachod. He is part of the line of succession to the british throne and cousin of Her Majesty Queen Margreth II. of Denmark: His parents were HH. Feodora, born Princess of Denmark, out of the Danish Royal house, and his father HH. Christian Prince of Schaumburg-Lippe, Sekundogenitur Nachod, the proprietor of Náchod- and Ratiborice Palace in Bohemia and Manager of the Genitur Bückeburg. Many years he lived in Germany and worked as a sales manager of IBERIA. After the death of his parents he moved to Denmark in 1977 and married the royal Danish court photographer, HH. Anne-Lise Prinsesse af Schaumburg-Lippe, Sekundogenitur Nachod. He also became himself royal danish court photographer and managing director of the private company Elfelt Royal (1893). His daughter HH. Eleonore-Christine Prinsesse af Schaumburg-Lippe, Sekundogenitur Nachod, was born in 1978. After his divorce he worked as state employee, comunal employee and director of a board. Since a few years he lives in germany again. On the 20th of September 2008 he married his beloved wife LAbg.aD. Mag. Mag. Dr. Gertraud-Antonia Wagner-Schöppl in the imperial Schönbrunn Palace in Vienna, Austria. 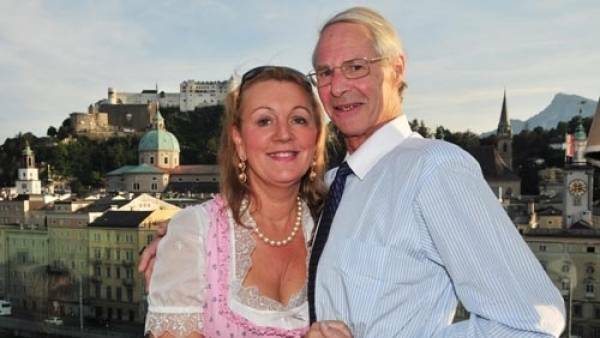 She is the mother of their together son Dr. Mario-Max Prince Schaumburg-Lippe as declared by court ruling. The family resides in Germany, Austria, Monaco and the USA.